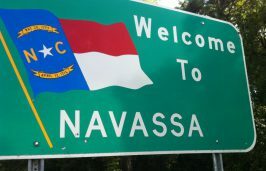 NAVASSA – The hope, in the end, is that less than half of the 245-acre grounds of a former wood-treatment facility here will be labeled a federal Superfund site. Between the land that is believed to be clean – about 100 acres – and areas where creosote-contaminated soil can be removed, perhaps about 90 acres will continue to be deemed an Environmental Protection Agency, or EPA, Superfund site. “We’ll see. 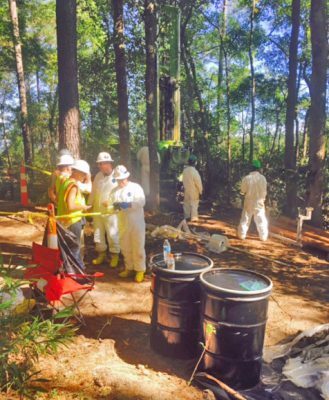 I don’t know,” said Erik Spalvins, the EPA’s remedial project manager for the Navassa site. Any land within the former Kerr-McGee Chemical Corp. treatment plant site that is not marked Superfund will carry a higher value because it will be relieved of the stigma associated with the label, Spalvins said. It will likely be at least a couple of more years before the land can be placed on the market. 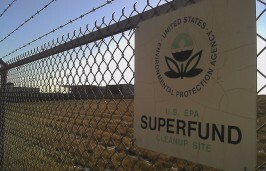 Federal and state agencies continue to research the extent of contamination on and around the site. 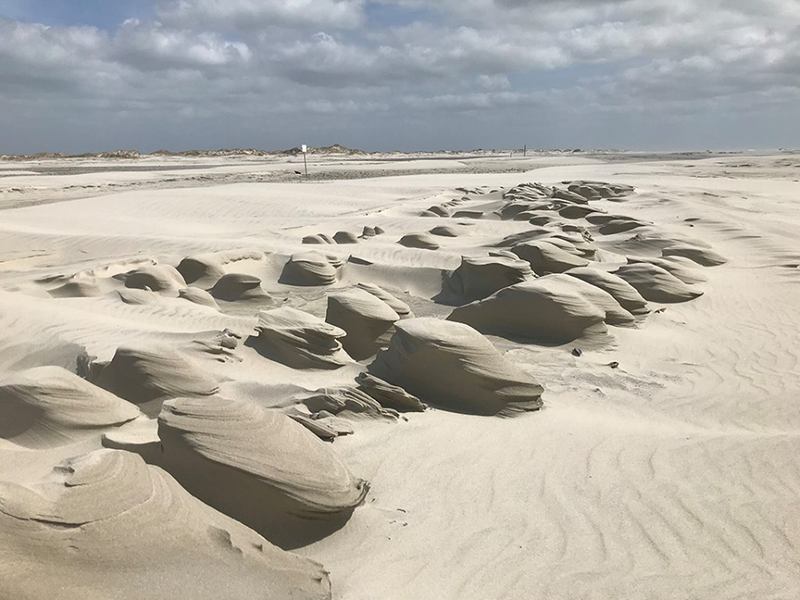 Everything from surface and subsurface soils, terrestrial sediment, marsh sediment and groundwater is being tested to determine the where and how much creosote contamination lurks on the land. Creosote is a gummy, tar-like mix of hundreds of chemicals used as a wood preservative. For decades, logs were coated in creosote, stacked and dried before being loaded onto trains and transported offsite. The facility included 245 acres of upland and marsh and was in operation under various companies from 1936 through 1974. The site was added to the National Priorities List of federal Superfund sites in 2010 because of the contamination in groundwater, soil and sediment. Water samples taken from dozens of monitoring wells drilled in and around the site show creosote has traveled anywhere from 10 feet below the surface to a depth of as much as 90 feet below the surface. However, continued testing shows that a plume of creosote in the groundwater appears to be in the same area since the plant closed more than 40 years ago, said Richard Elliott, the Multistate Environmental Response Trust project manager of the Superfund site. 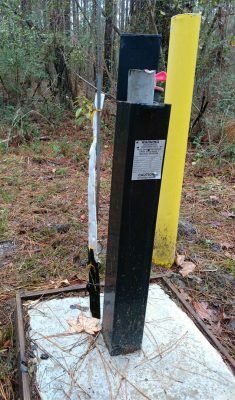 Water samples from more than 50 wells are taken every six months, the most recent of which were collected Nov. 5. 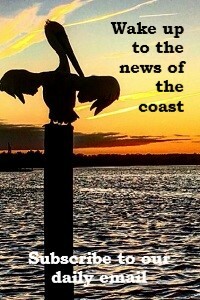 Federal officials are going to continue testing samples from the 30- to 40-acre marsh on the site. Within the marsh, an area of about 1 to 3 acres may pose a risk to so-called ecological receptors, which include any living organisms other than humans. Samples taken in 2016 and again this year show very little impact to the environment, Elliott said. In fact, the test results from those samples show “less toxicity” than the EPA is comfortable with, he said. The EPA wants to take more time and be sure that findings from those samples are accurate. “We are going to verify those results with a 28-day toxicity test,” Spalvins said. The overall goal is to contain, clean up and restore the land so that it may be re-used for the benefit of the town, which is bordered by Sturgeon Creek and Brunswick River. Residents, with the guidance of federal and state officials, have drafted four redevelopment concepts for the site. Each concept, though slightly different, includes common themes: a river walk, ferry access, kayak launch, viewing platform and a park with walking and biking trails. There’s also space for a heritage center, a rice field where visitors could see how the historically significant commodity here is grown, light industrial and commercial use. 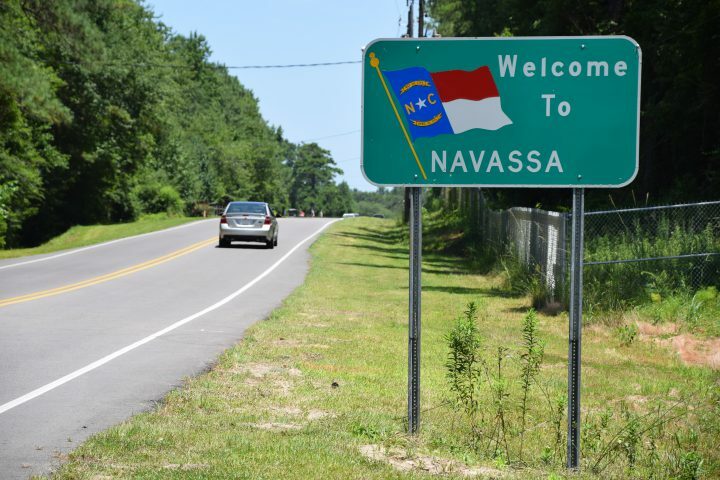 Officials fielded Nov. 8 during the quarterly meeting in Navassa Community Center several questions from residents about the time frame in which cleanup may be done. Realistically, he said, the property would go to market at the end of 2020. The time frame prompted some residents to question funding for the remediation. Spalvins and Elliott assured them there is enough money to cover the project. “We have not spent so much money that I’m concerned we’re going to run out of money in the next 10 or 15 years,” Spalvins said. Elliott said the intent is to have money left over.